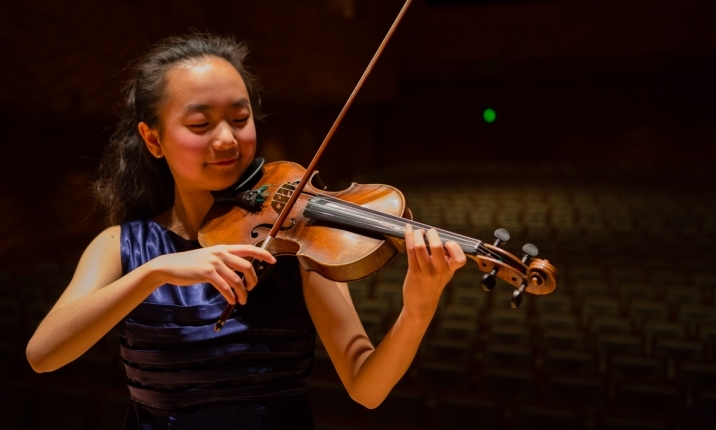 As part of out Exceptional Young Artists program, the Centre offers a range of opportunities to support and inspire the next generation of talented musicians, including annual competitions that showcase tomorrow’s music leaders on the Elisabeth Murdoch Hall stage. For gifted musicians under the age of 18 in Victoria, the Bach Competition encourages young performers to master J.S. Bach repertoire in order to impress audiences and take home the Elisabeth Murdoch Prize. A competition that dates back to the year Melbourne Recital Centre opened, this event is supported by Richard Mills AM, Australian Bach Society and Vivienne Ritchie. Providing a platform for emerging artists between 18-25 years across Australia, these young musicians have the opportunity to woo audiences with the works of Romantic composers such as Brahms, Liszt and Schumann. With the chance to win a combination of cash, performance and recording opportunities, the Great Romantics Competition is supported by Annamila Pty Ltd, Mrs Margaret S. Ross AM & Dr Ian C Ross.